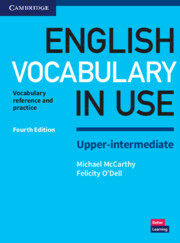 Vocabulary tests to accompany the popular English Vocabulary in Use Upper-intermediate Third edition. 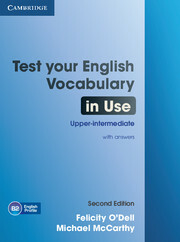 Test Your English Vocabulary in Use Upper-intermediate Second edition contains 100 easy-to-use practice vocabulary tests with a clear marking system on each page so that progress can be easily checked. The book can be used on its own, for self-study or in the classroom, or to reinforce the vocabulary covered in English Vocabulary in Use Upper-intermediate Third edition, available separately.